When we originally announced the release date of Animal Crossing: New Leaf via Nintendo Direct, and when I saw the response to the subsequent Animal Crossing: New Leaf Direct, it made me realise once again just how many fans have been eagerly awaiting this new Animal Crossing game. Now, after an extremely long development period, you’ve finally reached the finish line. I would like to ask you today about how you went about making Animal Crossing: New Leaf. Could I ask you to start by briefly introducing yourselves? Certainly. 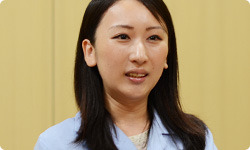 My name is Aya Kyogoku and I work in the Software Development Department. Together with Moro-san, I was the director of the game and worked on all sorts of things, from the overall game concept right down to the smallest details. I’m Isao Moro, and I also work in the Software Development Department. Like Kyogoku-san, my job as director was to have an overview of the whole project, as well as ensuring that all of the more finely-detailed content on the system side was in place. 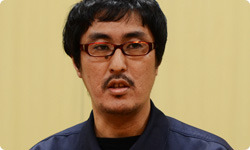 I’m Koji Takahashi from the Software Development Department. I was in charge of co-ordinating the design of the game. Having two directors working in parallel is somewhat unusual. How did you divide up the work? Our skills lie in different fields, so it ended up being divided quite naturally. For Animal Crossing: Let’s Go to the City for Wii1, both of us lent support to Hisashi Nogami-san2, who was the director, and from that time, things fell into place with respect to our different roles.1. Animal Crossing: Let’s Go to the City:The fifth title in the Animal Crossing series, a social simulation game released for Nintendo Wii in Europe in December 2008. 2. Hisashi Nogami: The director of previous games in the Animal Crossing series, working in the Entertainment Analysis & Development Division of Nintendo’s Software Development Department. In the past, he has participated in an Iwata Asks interview discussing Animal Crossing: Let’s Go to the City. Our roles developed naturally out of the previous game, without us having to make any particular effort to define them. It can be difficult to have two directors, but I gather that you didn’t experience too many problems as you have a similar outlook and a shared sense of what’s important. Come to think of it, it’s been more than eleven years since the first Animal Crossing3 game came out on Nintendo 64.3. Animal Crossing on Nintendo 64: This game was originally released for the Nintendo 64 system in Japan in April 2001. 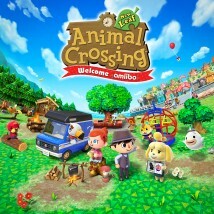 As each title in the series was released, a very specific world view has been established in the game, with people having a clear conception of what Animal Crossing is. With this title, how did you go about determining the direction that the development should take? So far in the series, you have always moved into a town, got a loan to buy a house and worked at Tom Nook’s shop. Right. (laughs) That was simply a matter of course for the series, but we felt that if we made the next game in the same way, a lot of people would think: “Oh no! Not again!” So this time, we decided to press reset and make a fresh start as we developed the game. Our goal as we began working on development this time was to make a new type of Animal Crossing game. So your starting point was a desire to make a new type of Animal Crossing, instead of having the players simply repaying their loan to Tom Nook. What kind of ideas came about during this process? It was, wasn’t it? (laughs) There were ideas like that, which we came up with out of a sort of desperation. But at the same time, we hit upon a theme for this new title quite early on. This was the idea of being able to arrange lamps and benches, build bridges – essentially being able to make a whole town. In previous titles in the series, the emphasis was on customising the interior of your home. All you could really do outside was to plant trees and flowers. But this time, we wanted to make it so that you could customise the entire town. In Animal Crossing games up until now, you could plant flowers in the town, artfully arrange trees and install things like bridges or fountains, but these were generally related to particular events in the game. Ultimately, the only place where you could really do as you pleased was inside your house. Yes, that’s right. But with this title, we wanted to make it much more fun to explore other players’ towns by allowing each player to bring out their own personality in their town. Whereas players might once have wanted to show off their homes, they will now want to show off their towns. Was the idea of having the player become the mayor one that you came up with fairly early on? No, we actually added that quite a bit later. For about the first year, Katsuya Eguchi-san4, Nogami-san, Moro-san and I were talking in a small group, and we were worried that if we said, “You can place all kinds of things around the town in the new Animal Crossing game,” then players would simply take that as being a single element of the game and not see it as a big deal.4. Katsuya Eguchi: The Department Manager of the Entertainment Analysis & Development Division of Nintendo’s Software Development Department. 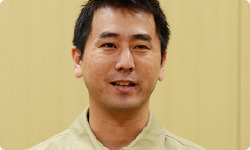 He has produced the Animal Crossing series, as well as Wii Sports and Wii Sports Resort. He also worked as a general producer during the development of the Wii U and was the producer of the Nintendo Land game. 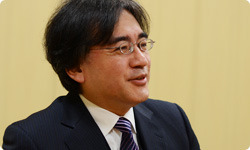 He has participated in a number of Iwata Asks interviews including those on the 25th anniversary of Super Mario Bros. and a special edition of Iwata Asks at E3 in 2012 discussing the Wii U. So you were afraid that even if you underlined to players that they could now show off their whole town, they perhaps wouldn’t fully realise just how novel this was. Right. Then, during this process, we were preparing to make a presentation to Shigeru Miyamoto-san and Takashi Tezuka-san5, and we started to wonder how we could possibly sum up the idea behind the new Animal Crossing in a single key word or concept.5. Takashi Tezuka: The General Manager of the Entertainment Analysis & Development Division of Nintendo’s Software Development Department . 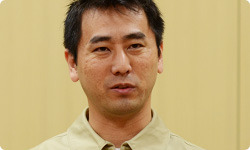 He has been involved in the development of many series, including Super Mario, Yoshi and Animal Crossing. He has participated in a number of Iwata Asks interviews, including discussions of the 25th anniversary of Super Mario Bros., the history of the Legend of Zelda series on handheld consoles, an interview with the producers of Super Mario 3D Land, in addition to special interviews at E3 in 2012 about New Super Mario Bros. U and New Super Mario Bros. 2. Yes. The player becomes the mayor, so he or she can put up bridges and install various items and objects, which you can think of as being public works. So your initial concept was that the player could place a variety of objects in the town, and then that inspired the idea of the player being the mayor and making decisions about the way the town should look. That’s right. When we put it all together so that the player became the mayor and constructs the town by means of undertaking various public works, it really worked well. He accepted it gracefully. And fortunately, we found a place where he could live in his retirement.